We have seen for ourselves the yearly struggle of couples and new loves trying desperately to find the right present to give on Valentines day. There’s the age old dilemma about how romantic you should be if you are a new couple, or how much you should spend on each other. Not everyone agrees with Valentines Day, but we think it’s a perfect excuse to treat the person that completes you, with something thoughtful and sentimental. This can be an object or it can be a treat out or experience. We feel for you, so we want to show you how you can get something amazing for your other half and save the pennies at the same time. The views of our customers are paramount, so we asked for feedback from both men and women, to see what they really wanted to receive as Valentines Day gifts 2015 and you told us! Unsurprisingly, many would love to receive perfume/aftershave, chocolates, flowers and jewellery. Men simply want to look after their ladies this valentines day You old romantics!. Keep posted and we will tell you more next week. Whatever you are looking for whether it’s jewellery, chocolates, perfume/aftershave/ gadgets/ lingerie or flowers, we track them all and send sale alerts directly to you! We will also be writing and featuring regular Valentines Day Gifts blog posts, offering you advice on the Valentines Day Gift ideas for him and Valentines Day gift ideas for her as well as the top fragrance, flower and jewellery sales around. See how easy we make it for you! Aren’t we nice! If you have managed to come up with the greatest idea ever, or you have a few ideas but not the money there and then, don’t despair! You won’t forget them, we will save them all for you in one convenient place. Whether you are surfing the web at home or out and about, if you find an item that you think your other half will love then you can save the item in your very own LoveSales board. It’s simple to do. Just choose the item you love, then use our bookmark button or you can email the item to your board. Our step by step guide will help you when you sign up. You can save items from ANY website into your board, so whether you are looking to woo them, propose to them, treat them or maybe you want a Valentines treat for yourself, save them all in one place! 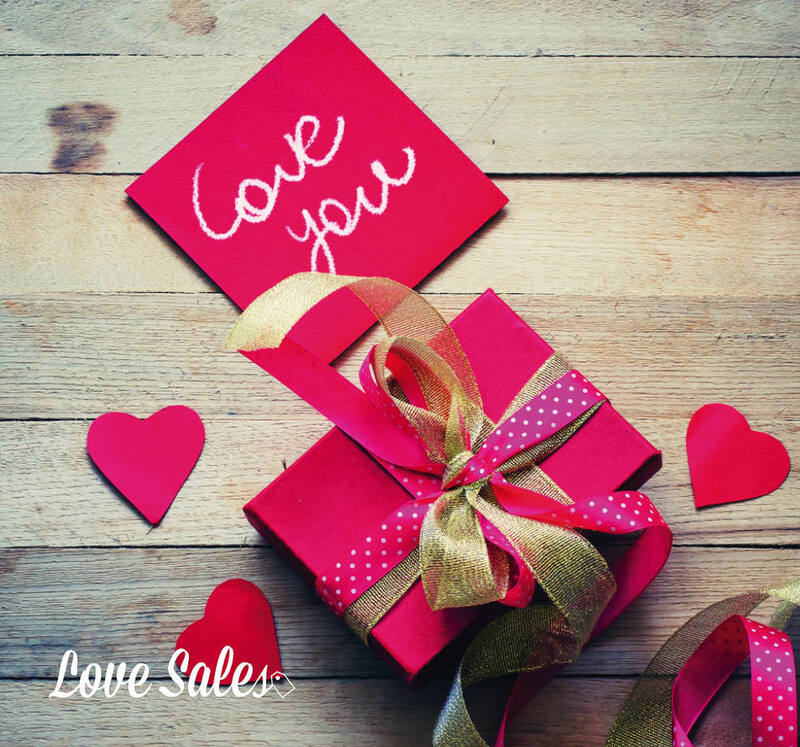 The good thing about saving all your Valentines Day Gift Ideas into your LoveSales account, is that our amazing software and team here at LoveSales will track your item daily and monitor the price. If any one of the items in your Valentines Day board goes down in price we will let you know on the day it happens so you can save money on your gifts! 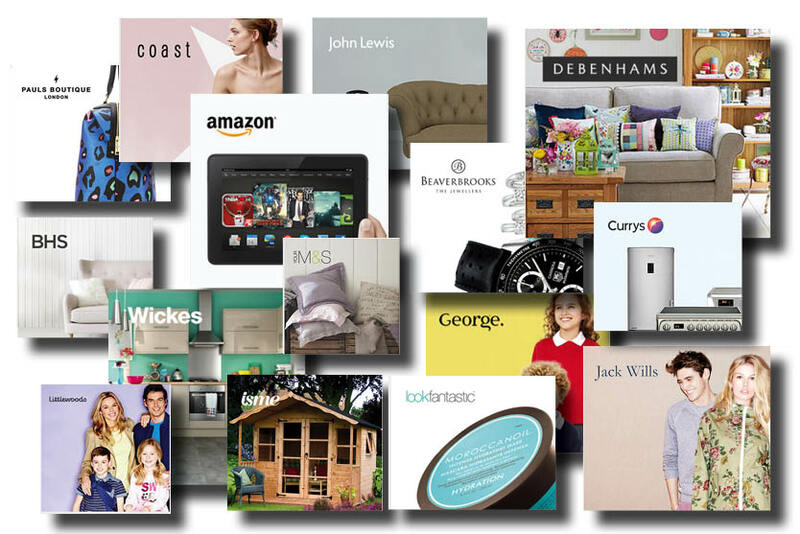 Plus if choose the brands and retailers you love to buy from when you sign up to LoveSales and on the My Brands page, you can get alerts sent to you as soon as the retailer has a sale. So even if you don’t quite know what you want to get for that special someone, you can at least browse the sales for some inspiration. That way you can have money left over for dinner, or maybe even a little treat for yourself! Look out for our posts on social media and our blog, to get some more ideas for Valentines Day gifts and make sure you like our social media pages to get the updates straight away. Sign up to LoveSales for free today and see our Latest Sales. This entry was posted in Latest Sales, Sales Made Easy, Seasonal Sales on January 20, 2015 by Charlotte Williams.